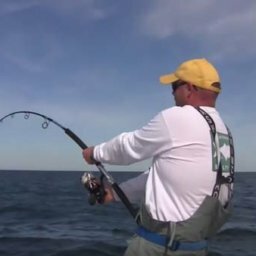 Sea Herring: Big schools of herring are the ultimate score. 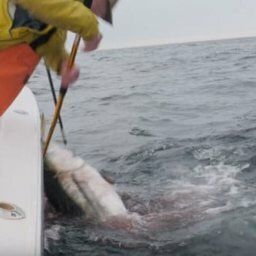 Tuna go nuts for herring and the surface can look whitewashed when the feed is on. 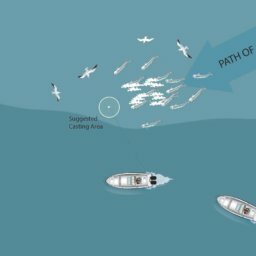 Not only are herring great because they drive tuna crazy, but they often call in lots of birds to, making it easier to spot the food chain. Bone, blue, black and silver are go-to colors. 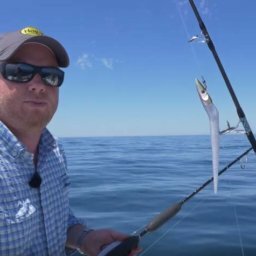 If Bluefin are busting on herring, lure selection isn’t always that critical. You will mark herring on all levels of the water column. 7” Hogy Slider 4oz: Casting Only. 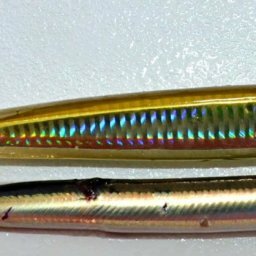 Sand Eels (AKA Sand Lance): What fish doesn’t love sand eels? One way to tell if there are a lot of sand eels in the area it through a lot of whale bubbles, which indicate feeding. 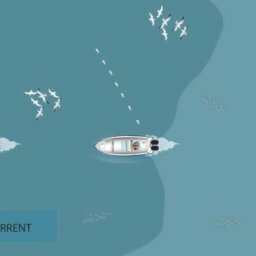 Tuna will feed on sand eels at all levels in the water column. 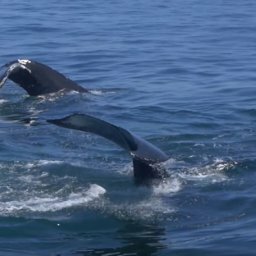 When tuna are keyed in on sand eels, they will most often dart through bait balls, in sort of a bucket-feeding format. Mackerel: Mackerel are also very important forage for tuna. 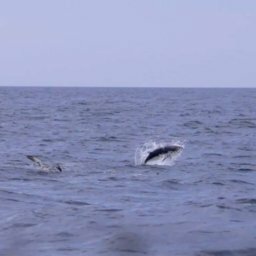 The challenge with mackerel is that they tend to be more skittish and move quickly. 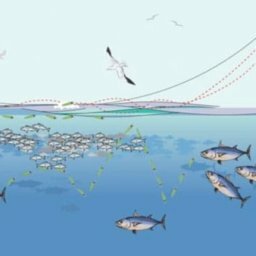 Unlike huge feeds with sand eels and herring, mackerel feeds tend to be shorter lived and far more scattered, making it hard to approach breaking fish. Black silver and green silver are the top colors for imitating herring. 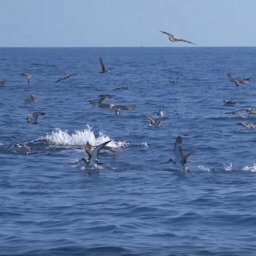 Half beaks: Similar to mackerel, half beaks are fast moving and feeds are often sporadic but tuna’s feeds on half beaks can last longer than mackerel. Half beaks are easy to spot as they are high jumpers and tend to jump in unison. 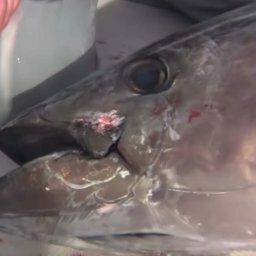 They key to chasing tuna keyed in on half beaks is to get ahead of them if you can. The feeds can often be short lived, but when they go down, they often come back up quickly. Though often difficult to decipher, understanding the direction they are heading is the name of the game. 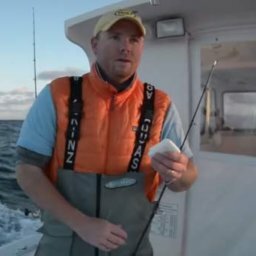 Lure Selection: If targeting Bluefin chasing half beaks, you want a lure with long and accurate casting range. Butterfish: Tuna keyed in on butterfish can be very finicky, particularly if feeding on juvenile butterfish. Feeds are super short, often only for a handful of seconds. Often tuna will scatter and isolate single butterfish on the surface making it extremely difficult to stage these fish. 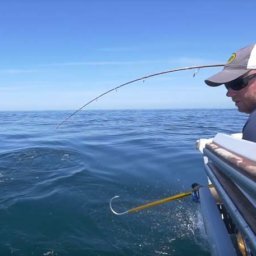 The name of the game is to be ready to charge up on a quick feed and fire off a cast. 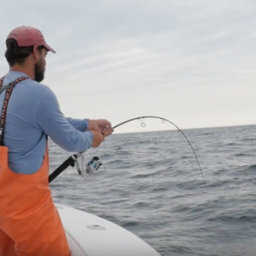 Juvenile Squid: Tuna keyed in on juvenile squid can as finicky as tuna when they are keyed in on small butterfish, the techniques remain the same as targeting Bluefin keyed in on isolated butterfish, but your lure and color selection will need to be adjusted a little. Again, the feeds are super short, often only for a handful of seconds. 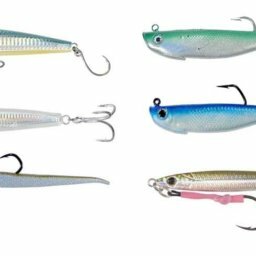 The name of the game is to be ready to charge up on a quick feed and fire off a cast with a perfectly matched size and color lure.